I'm new to this method and there is a basic thing that I don't understand. Why is it okay, in hydroponic system, for the root system to be submerge in water, while a soggy soil, in regular system, will cause root rot? It is interesting. I'm going to take a guess here, but others can correct me if needed, since I don't actually do hydro much. I do have a little aerogrow, which is a self-contained hydro system. It has a bubbler in the water chamber, like you would have in an aquarium, to keep the water oxygenated. So I would think that is part of the answer, that hydro systems, through flow or however, keep the water very oxygenated. The other would be starting with a pretty sterile system. Root rot is caused by an organism phytophthora, which is its own kind of thing - not plant, not animal, not fungus - called water mold. The phytophthora must have soggy conditions to grow and do its damage, but the damage is caused by the organism, not the soggy conditions. That was one question. What is the other one? Yep, hydroponic systems are all about delivering air to the roots as well as water/nutrients. The amount of water and air in the soil has a marked effect upon the development of root hairs. The roots of cultivated crops usually produce few root hairs in wet soil. In moderately moist soil corn roots are almost woolly with root hairs, but there are fewer in wet soil, and usually none in water. My second question is what are the consequences for using an hydro system without a bubbler? Or to be more specific, can a plant live in a system in which it planted in clay pebbles and the few bottom inches contained water with fertilizer? So you want to grow something on your porch with no electricity. Why not just grow in pots with soil? Container gardens done right can be very productive. Why try to do the clay pebble soil less method at that point? I don't really know, but it sounds like you will end up with stagnant nasty stinky water and no plants. Sounds like you already knew the answer to the first question, based on the second one . Incidentally, even though you say it has good sun, if it is a porch, that seems to imply there is a house behind it. Therefore the sun is only coming from one direction. Even when the sun is shining directly into the porch, it is only shining on the front half of the plant. And half the day the sun may be behind the house (depending on what direction the porch faces). So it is not a good area for full sun plants like tomatoes and peppers. There are a number of things that can be grown on porches though. Hydroponics do work on the principle of ebb and flow. The roots are kept moist by the running water but the water is allowed to drain and the roots are allowed to breathe. Most hydroponic systems do not submerge all of the roots, some parts of the roots are usually above the water table even in a floating system. Hydroponic systems don't use soil, they use perlite, clay balls (hydroton) or coir. Some systems even use cinders. It needs to be a media that provides good root support but drains well. Water roots are different than roots grown in soil. That is why not all plants are suitable for hydroponic culture. If you want a simple hydroponic system for a short term crop that does not require electricity and is relatively low maintenance then this link is for you. Can you please tell me what is the difference between growing medium like: peat, perlite, vermiculite, coir and clay pebbles? There are different types of media that are suitable for hydroponic or aquaponics. Whether you are using hydroponic or aquaponic, normally it invoves a nutrient solution or fish poop, and a pump. The growing medium should give the roots a good base of support but will be inert enough not to react with the nutrient solution, heavy enough that it won't be washed away and large enough not only not to wash away but not break up into tiny pieces like dirt that will get back into the nutrient tank or fish tank or clog the pump. It also needs to be porous enough to allow air and nutrients to access the roots. The link below explains the most common media used and contains recipes for mixes for different systems. If you are using a nutrient based solution, it would also help to do research on the plant you are growing. Different plants have different nutrient requirements. pH can change radically in a system as the plants take nutrients out of it. Like a swimming pool the nutrient solutions have to be tested and adjusted accordingly. Some commercial systems have mechanical systems that test and adjust the nutrient solution constantly. Also it helps to keep the nutrient tank cool. There are optimum temperatures to keep the water for the best plant growth. 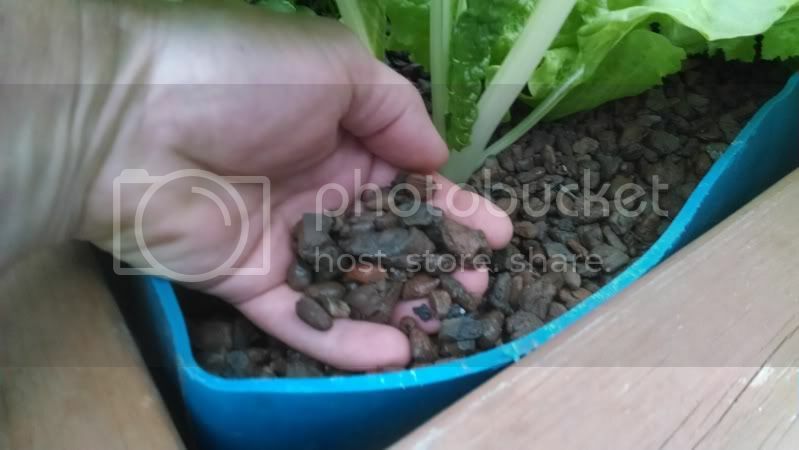 These links are about growing hydoponic or aquaponic lettuce. I don't do hydro, so I can only give you the beginning of an answer. But those are very different things. Peat moss and coconut coir are organic, plant materials. As such they are very water absorbent (that's why they are often used in potting soils, to hold moisture) and not very stable, because subject to decomposition. Peat moss is also quite acidic, so you would have to be compensating for that all the time. They would be subject to growth of bacteria and mold. I'm not sure why you would want to use them for hydro, but like I said, I don't have any experience with it. Perlite and vermiculite are mineral/ rock. Rockwool is another mineral growing medium often used in hydroponics. The perlite and vermiculite have lots of air channels and water channels and are very free draining. The rock wool can get kind of waterlogged so that there isn't as much air around the roots. Vermiculite holds more water, while perlite drains better. Vermiculite can break down easier and clog up the system with lots of little flakes. Perlite is very stable. Which growing medium to choose depends on what you want to grow and the kind of system you will be using and perhaps on availability and cost. Very helpful and informative answers. Thanks! You can do a hydro system without a bubbler. Look into the Kratky method of hydroponic gardening. The kratky method works best for things that grow pretty fast, like lettuce. I don't know hydroponics but I use aquaponics. I can tell you ebb/flow and constant flood really don't make a difference as I have tried them both as have others. The key is oxygenated water and flow. It can be done with bubblers or just good flow while water is exposed to oxygen. The thing to remember is flow. When you use coir or other media that does not provide flow you get anaerobic (stagnant) areas that produce harmful bacteria. Here is my system with constant flow. The standpipe determines the water level and the roots are constantly submerged in water. I keep it about 1.5 to 2 inches below top of media. 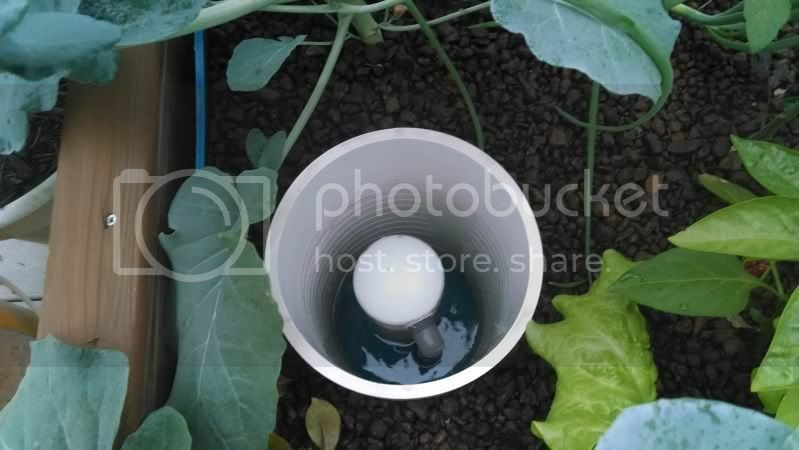 By dropping a bell siphon in it will drain in about a minute and fill in about 10 min. and repeat. Well, I grow in Rockwool, and trust me, you can get root rot. I feel like it gives me more stable aeration of the roots and it's easier to calculate my dry-down time to avoid over watering. There is also the problem with algae in the system. If you are using hydroponics or aquaponics you can still have issues with algae growth. Over time the algae can clog the system and it won't flow as freely and then you have a swamp where very little will grow. Flow is very important and even with a bubbler it is important that the water level is below the media so the air roots of the plants don't drown. It is sometimes hard to grow root crops like beets and radishes in a coarse media like cinder. The roots end up much more scarred and cracked. Coir can be used for those types of plants, but you need to have some kind of filter over the drains so as not to clog the system and you will need to make sure the water level stays a couple of inches below the top of the coir. Some systems are run on solar panels and turn off at night. 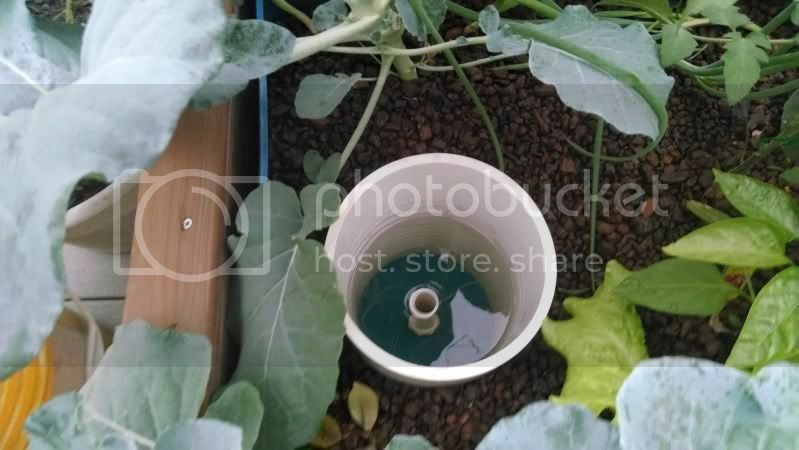 It is not necessary in an aquaponic or hydroponic system for the water to be constantly flowing, but the water needs to be turned on again before the roots dry out completely. Even when the system is off for a few hours the table and the media will still have some water for a while.